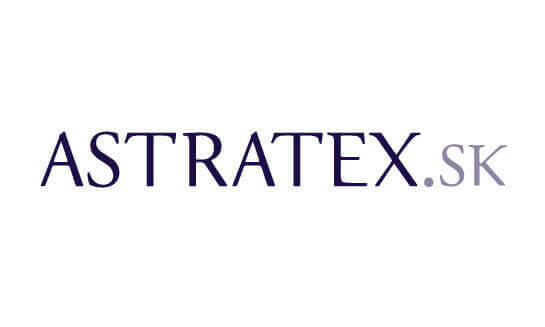 Astratex.sk is one of Czech-based Astratex, s.r.o., e-shops run in several European countries, namely the Czech Republic, Slovakia, Romania, and Ukraine. They have been engaged in online retail of goods since 2000 at which time an e-shop functioned as a foil to the traditional mail-order store for underwear. Since 2005, they have been an online-only retailer. All of Astratex, s.r.o., e-shops share a warehouse located in the Czech Republic. Its area is over 1,500 sqm and over 1,500 types of goods are stored here, giving a combined total of 60,000 items. The e-shop has 50-60 thousand visitors per month and very good reviews on Heureka.sk – verified by customers. Available banners, a voucher (in administration), on-demand XML feed, as well as banner configurator BANEA. The advertiser has an extensive portfolio – from underwear through swimwear to clothing.